Ever had your parents tell you what career you should choose? Probably. Our families’ opinions tend to be the ones we hear the most and likely value a lot more than others. When you’re college bound and it comes time to decide on what you want to study, sometimes family members, especially your parents, can be very vocal about the career path you choose. During my senior year in high school, I did not have a clear idea of what I wanted to study when I got to college. It wasn’t until I took a journalism course in my last semester that I came to realize that this is likely the only interest I had. I did think of studying law for a long time and then I realized that this is a career that may take too much time. My parents were supportive of my choice to study law, but when I told them the odds and my new plans, they weren’t really happy to hear it. I began my freshman year at a junior college as a journalism major, but due to my excessively high ambitions at the time, a year later I switched to liberal arts so I could graduate on time. It wasn’t a bad mistake. I liked having a bevy of classes to take, which also helped me decide on what subject I may like to talk or write about. After graduating and preparing to transfer schools, I still knew I wanted to pursue journalism. My mother’s reaction was even worse, “So you want to be nosy and harass people for gossip?” My parents views were a stark difference from mine. Alternatively, they encouraged me to study nursing or anything in the medical field. This is not what I wanted. I liked the idea of working in print media and went ahead with declaring my major after starting at my new school. While studying journalism, I did have those feelings of doubt and thought of changing to my major to something else. But I was in my third year of study and it was too late. When I finally took a field study course that is what help confirm that journalism was indeed the career I wanted. My parents’ lack of support in the beginning was due to them wanting me to find a job right away, but it did annoy. A lot of doubts I had was partly due to their discouragement. My parents always kept telling me journalism had high unemployment rates, and that there are always jobs in healthcare. While this is true, why should I force myself to study something I didn’t want to? My parents eventually came around to journalism after a year or two. It was even my father who bought me a high-end recorder to use for reporting and my mother referred me to a job at a local newspaper. Today, they couldn’t be happier that I’m done with college and satisfied with where I am. 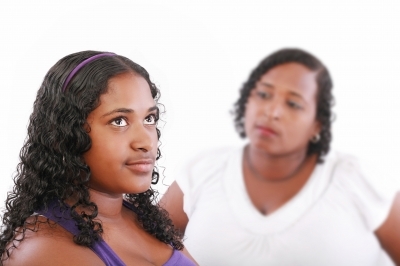 So what should you do if your parents never come around to support you? The best advice I could give is to pick the career you want. Your parents likely want the best for you, but you also have to understand that it’s your life. Imagine if I decided to study nursing like my parents wanted? I don’t see anything wrong with nursing, but my passion isn’t working with people in need. My mom is already a nurse and she can thank herself for the loathsome stories she comes home with. I also tend to have phobias about hospitals and healthcare facilities. It’s just not something I want to do, so why should I? Don’t do what other people want you to do, or you’ll spend a good amount of time resenting them and yourself. It’s important that we consider the advice of others who know us best, but to also make decisions that will make us happy in the long run. If you want to make both yourself and your parents happy, and don’t necessarily have an issue with the career choice they want for you, there’s still hope. Almost every college or university has a double major program. Take two majors: one that you like and one that was recommended to you. Somewhere down the line, you may find that your parents’ suggestion suited you best. Or maybe not. Either way, you will reach a point where a final decision is made; and it better be the one that makes you happy, no matter if you chose it or not.